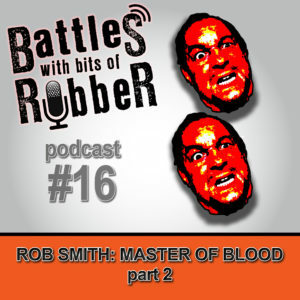 Rob Smith continues his chat with me about foam latex, blood and other FX related goodies. Also, Todd and I talk about our favorite podcasts, and whether or not the word ‘mustard’ is actually an expression. Some news: Todd and I will be at IMATS 2017, 13th-15th Jan 2017. How about that? You can also get the podcast on iTunes, SoundCloud, iHeartRadio, Stitcher, PlayerFM, MyTuner….I mean, we’re all over that interwebs. Subscribe to us on you podcatcher app, and get every new episode.